This post was requested by Natalie few months ago and it took me a while to write it because of all my school work and also because I have no idea on how to write it. So I’ve decide to just write down some products that I’ve used or am currently using and some little tips that I know that works for me. My first tip to start off the skincare section is to always remember to wash you face with cold water, not warm, not hot but cold. Cold water will help minimize the size of you pores and help brighten up your face. Besides that, I always wash my face by wiping it with a wet towel in the morning. I’ve been told that it’s better if you wash your face just using water in the morning because the natural moisture and essential oils of your face will keep your skin look healthier, but this only applies to those who have dry or normal skin. After washing up, I apply Mild Clarifying Lotion from Clinique with a cotton ball. I am on my 2nd bottle and it makes my skin feel light, clean and it’s alcohol free. I prefer alcohol free and perfume free toners, it’s just more natural and not so harsh on your skin. 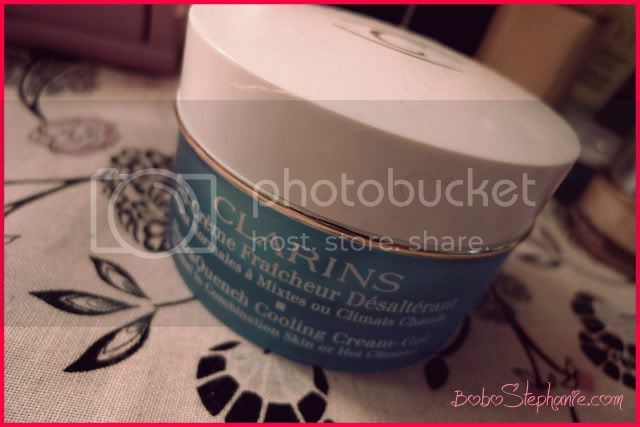 You can also try Clarins’ Toning Lotion with Iris. 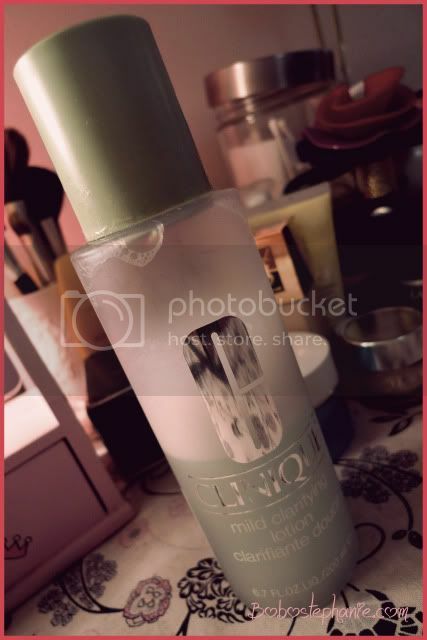 I’ve used it when I was in M’sia during summer, and it gave me a similar effect as the one Im using but it removes more dirt compared to Clinique’s toner. The first toner that I ever used was KOSE’s Sekkisei Lotion, it’s good but it contains too much alcohol and you can smell it from the open bottle. 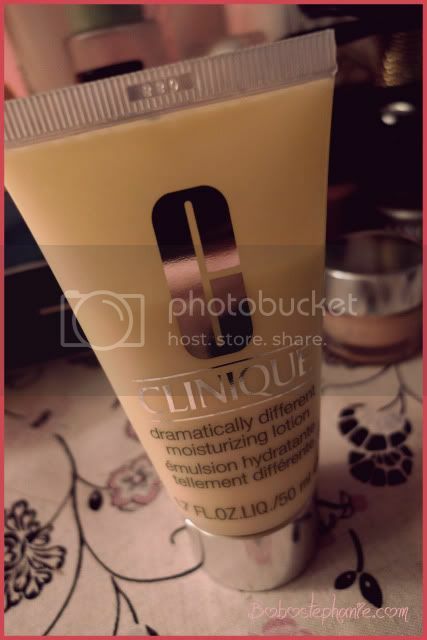 After that, I apply Clinique’s Dramatically Different Moisturizing Lotion on my face and my neck (always remember your neck). My bff Zoe recommended me this when I was thinking of getting a new moisturizer. Ever since I used it I have fallen in love with it because it feels very light on my skin and most importantly it’s not oily. I use this during the winter because winter weather turns my skin very very dry and it hurts if I don’t apply anything. During the summer, I prefer Clarin’s HydraQuench Cooling Cream-Gel. It’s not too oily for summer and it gets absorbed very fast, so it won’t feel sticky on your skin especially in super hot weather like M’sia. 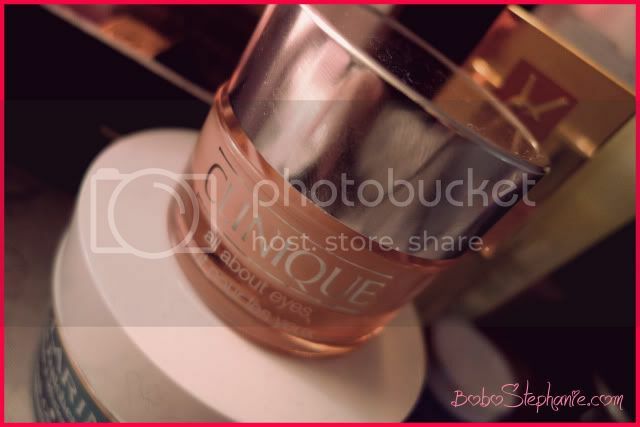 Once Im done with my face & neck, I apply Clinique’s All About Eyes on the area around my eyes. It’s super moisturizing and it cures dark circles very well. I apply this by getting a little amount on my ring finger and lightly dab from the inside out, all the way out to my temple and then pressing it. This step will remove the look of dark circles and also help relax your eyes. OK, this will consider as my secret weapon when it comes to breakouts. 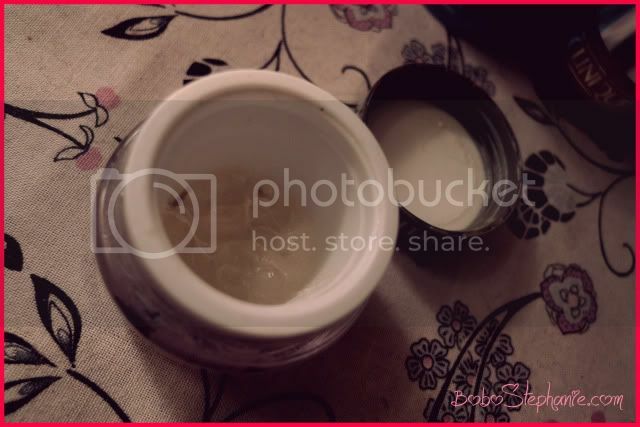 Its a paste made from pearl powder, made by my Mum. The main ingredientare herbs and pearl powder. I have been using this since I was in high school. It cures breakouts fast and whitens spots. I know it is impossible for you to get this in the market but try using real pearl powder mixed with little bit of warm water on a cotton ball, and applying it on your face like facial mask. Not 100% sure about the breakouts part because my mum might have mixed in some herbs that might be essential… but Im pretty sure it works really good to whiten and prefect your skin. When it comes to cleansers I tend to look at products from Japan. They seem to incorporate whitening and moisturizing functions, or maybe it’s just me who thinks that way. 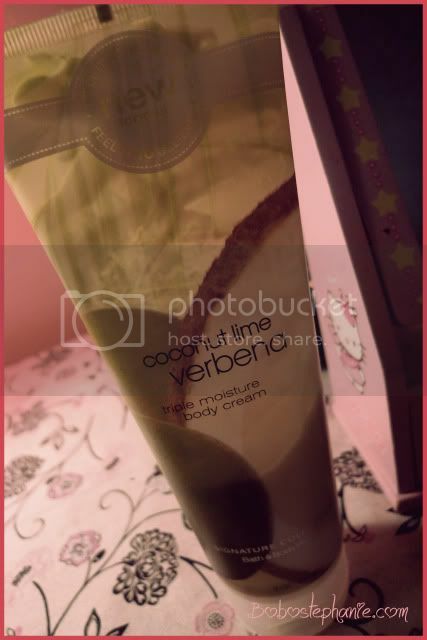 I tried this product when I was back in high school which was recommended by my sister. When I was in high school I spent time outdoors playing sports and school activities, so whitening was a must for me. I have been using it ever since. Part of the reason is also that I’m too lazy to change to another brand so I stocked up on this cleanser a few months before coming to the US. I got it from SASA back in M’sia. 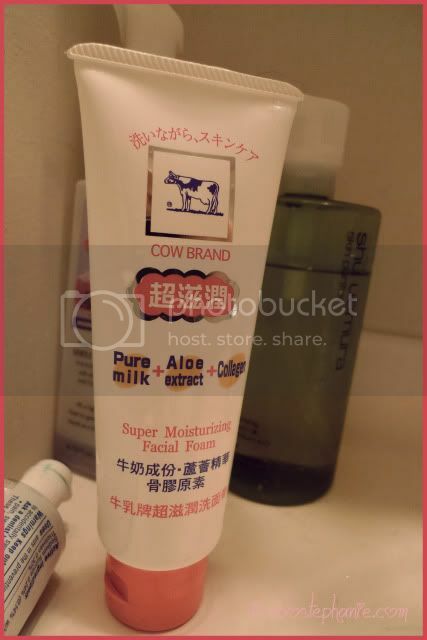 This product contains pure milk and aloe extract, and it helps whiten and cleanse your skin, or so it is advertised. Besides that it’s real cheap, it was around RM8 per bottle, see see told you it’s cheap. Sadly, this will be my last bottle so Im open to all suggestions from everyone on a cleanser for normal/dry skin. I always use my cleanser together with this bubble maker. 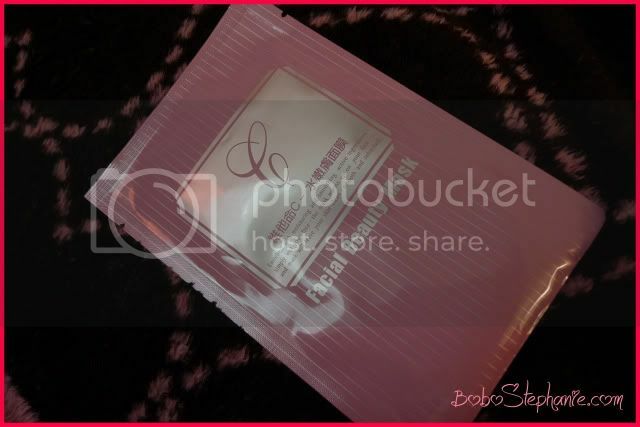 I got it from Missha but I forgot how much I got it for but it’s not too expensive. If you’re using cleanser that is in the form of a paste, try to using this. 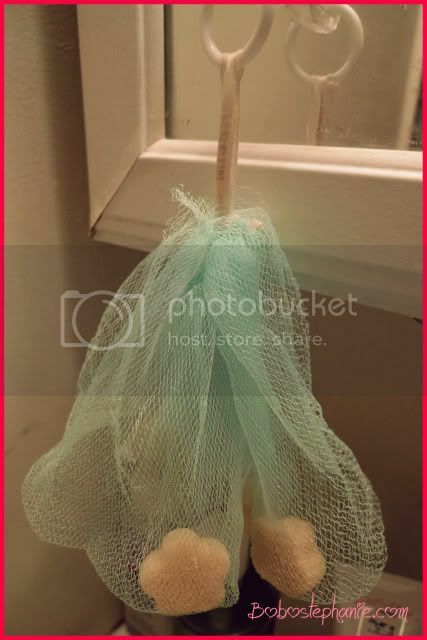 Combine the cleanser with a little amount of water, rub it in your hands to create very fine bubbles that looks like foam, and then use that to wash your face. This helps to reduce the size of the bubbles in order to help penetrate and clean your pores better. I normally scrub my face once a week, usually every Monday. 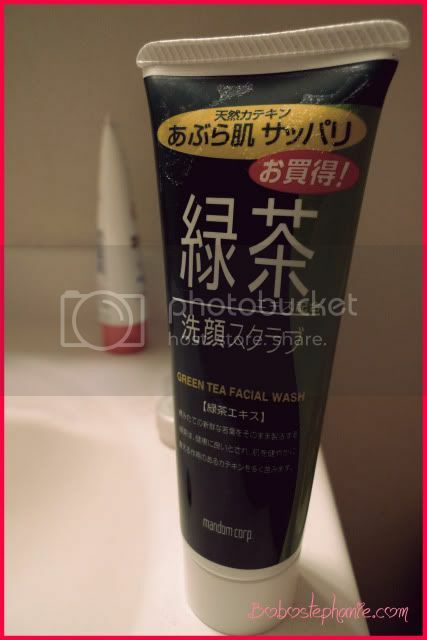 This face scrub is made out of green tea, obviously it’s from Japan as well. This Green Tea face wash deeply but gently cleanse pores and contains high amounts of antioxidants which rid the skin of impurities and protect from environmental pollutants. Use it once in a week, try not to use it more than 3 times in a week cox it might hurt your skin, and you don’t want to scrub off everything on your face, trust me. I’m using a Bath and Body Works coconut lime body lotion. I tried on this product 2 years ago when I was visiting Vegas. Our hotel provided this body lotion and body shampoo for their hotel guests, and it got me curious about this product. I tried it and fell in love with it. It’s very moisturizing and I know I have mentioned moisturizing properties many times but thats because I’m currently staying in a country with long, cold winter seasons, so I have no choice but to keep my skin moisturized. I used BodyShop’s body lotion when I was back in M’sia, and this lotion works pretty similar to that, which might be easier to get in Malaysia. O yea, I read from a blogger saying that to keep your lips looking juicy and pink, you can brush your lips using your toothbrush while you’re brushing your teeth. This will help to exfoliate your lips and also make it cleaner. After brushing it with your toothbrush, you apply a lip balm or lip cream to keep it moisturized. I have tried it and it works, so I do it once in a week right before I go to bed. I think Im pretty much done with my skincare. 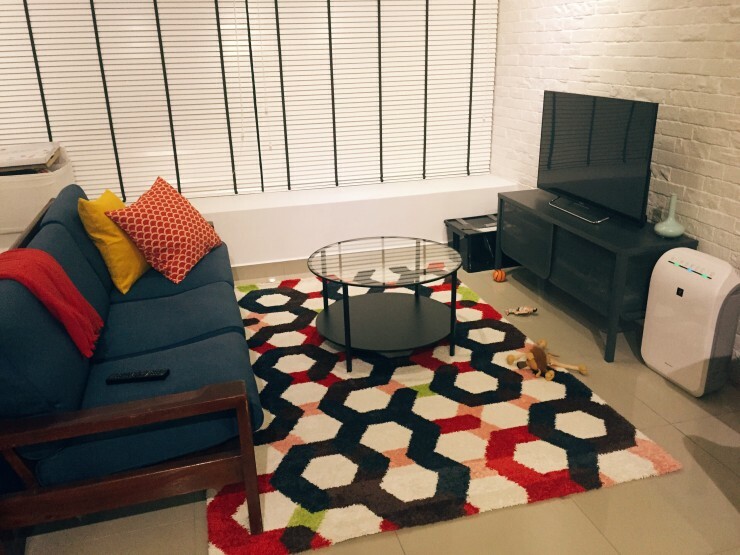 Hey, I’ve come across ur blog at LB, very complete skin care routine! btw, where to get the face scrub? Hehe, wat’s coming up next…make-up? hair care? Thanks so much for sharing, sweetie! I got my face scrub in Sasa, they have a lots of japanese skin care.